Afterwards we all went over to the Irish Museum of Modern Art for tours and wonderful conversations. The talks ending with the amazing Monica O Montgomery, Co Founder, Museum Hue and Action Direction LaTimerNow. She challenged us all to be our own CEO of our future. YES! In the evening we headed to the Science Gallery Dublin After Dark event. The first thing we had to do was find our birthday twin for cake. I was a women on a mission! I went through TWICE with no luck. I was to the point of going back in and lying about my birthday. But in the end I found one – the one and only Monica! Made too much sense. If you’ve never been to the Science Gallery Dublin I can’t recommend it highly enough! And great news for London, we’re getting one in 2017! I’m sure many will put David Fleming as a highlight but for me it was all about Dr Michael John Gorman, CEO Science Gallery International. It was his last day which I’m sure added to the inspirational beauty of his words. ‘Let your ideas infect the host – inspiring universities to be colliders not seperators of ideas.’ Can’t wait for his slides to go online. The true highlight has to be Silvia Fillippini Fantoni, Director of Interpretation, Media and E valuation, Indianapolis Museum of Art. It was the most honest, direct and frank talk about money and museums and the challenges from the museum perspective and importance of listening to your communities. Please check out Silvia’s slides: To Charge Or Not To Charge: Museums and The Admission Dilemma. The thing that continues to be a trend/highlight is that people need to be first (something I often speak out about). The shift of the role of museums from academia to emotive has been happening since the social/digital transition but museums are just about getting that now. A huge thank you to Jim Richardson and Kala Preston for hosting the best museum conference out there! 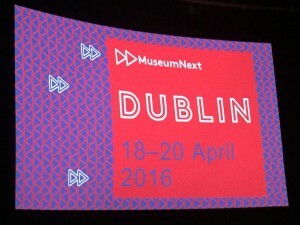 Highly recommend everyone follow @MuseumNext as they are going to the states this fall and Rotterdam in 2017! 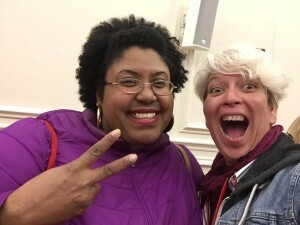 MuseumNext leaves me exhausted but also energised, makes me extrovert even though I am an introvert and it connects me with colleagues from all over the world, even though I work in the West Midlands of England. Do we value ourselves if we don’t know what the ‘cost of production’ is in our exhibitions and therefore not know how much to charge at the gate? With more behind the scenes content published than ever before is it time to inform the visitors just exactly what the cost of exhibitions, caring for collections and delivery of education sessions is? Diversity in my museum workforce is not reflective of where I live (i.e. with 1.7 FTE how could we?) however, is it fair to assume the content should be fully inclusive to be of interest to everyone in the area? Is an interpretation of ‘soft power’ for small museums summed up by relationship building and getting to know each other’s missions to know what is possible together rather than not possible? Mark wrote up his highlights here. The MuseumNext highlight for me was Silvia Filippini Fantoni’s presentation ‘To charge or not to charge’. I really valued her sharing the journey that Indianapolis Museum of Art had been through, and taking us through the steps and conclusions with evidence and stats. There are many museums facing this dilemma and this was really valuable learning about what museums need to think about, what information is needed for decision making, how best to communicate it, and how to track the effects of your decisions and use them to make improvements. It wasn’t a negative presentation, from my perspective it was all about how to manage change, and what better lesson could you have in a future looking conference for museums. I love how the debate about financial sustainability is finally raising to the surface. It was about time that museums started getting comfortable talking about money. It was also great to see how many of the presenters talked about their mission statements and values during their talks. From providing a framework for what we do, to inspiring visitors, to motivating staff, mission statements are more than just a “token” for our websites! It was also great to see how many institutions are rethinking their structure and job titles. At Burning Man they have a Chief Engagement officer rather than a CEO as well as Chief Philosophical Officer! Changing titles particularly amongst upper management are a sign that new ideas and values are finally being acknowledged! International speakers and delegates. Broad topics covered. Networking in social context, felt noticeable lack of disability access/issues though. Although I wish I have heard more talks about the use of digital technologies by/in museums, I came out of MuseumNext inspired by the talks overall and many in-between chats with wonderful people who attended this conference. Tijana just launched a site – with her own more in-depth highlights here! Attracting all ages panel as it merged kids, millennials and older adults. 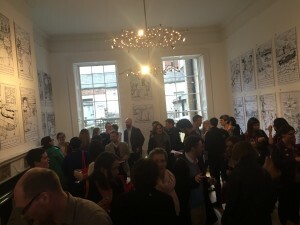 Visual Thinking Workshop with an open approach project at the Lab Gallery. David Fleming from National Museums Liverpool made a strong case for the museum as activist, taking position with exhibitions by LGBT artists and starting a slavery museum. MoMa showcased Prime Time, a multiyear research and development project which aims to increase the participation of older adults in the Museum’s programs and activities. The research debunked a few myths (older adults are all the same, are in bad health and have no money), unearthed challenges (social isolation) and potential for museums (only 3% visits city senior centres, whereas education is the hot new leisure activity). The development results she presented were a varied program including workshops, film program, walking tours and discounts, communication strategy (digital media alongside snail mail and phone) and practical measures (more benches, larger print, friendly staff). Which led to the interesting insight that focusing on the needs of one audience group, actually improves the experience of other groups as well. Michael Gorman, on his last day as CEO of Science Gallery International, showed how they are building a global network of science galleries in Dublin, London, Bengaluru, Melbourne and beyond. The trick: sharing knowledge and formats internationally, while forging connections with local universities and companies. Three presentations of apps aimed at social play in museums all stressed that digital was a means, not the end. “The phone is a prompt, not the activity. Keep it simple, do not use all the options you have”, said Gail Boyle, senior curator at Bristol Culture for the Hidden Museum project. Device intensive interactions like haptic gestures, drawing or creating accounts are to be skewed, what works are short period tasks and including a pause button. The new family app that Jane Findlay of the British Museum announced will also focus on short assignments for 76 famous and less known objects, aimed at looking & doing, with ‘snackable’ texts. Ina Pruegel of Historic Royal Palaces pointed out that you’d have to think holistically, look at the whole experience, preferably developing an app agile, designing it in the spaces it will be used. 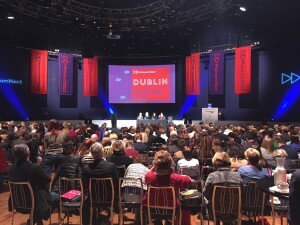 These sessions were my highlights from Museumnext Dublin, together with insightful presentations on finance by Jim Broughton, The Natural History Museum in London, and Silvia Filippini Fantoni, of the Indianapolis Museum of Art. Which leaves the question why digital developments were almost absent this year. Is it a sign of fatigue at the organisation? Or maturity of those willing to present? Is the digital generation moving up in the museum hierarchy and thus getting more concerned with engagement as a whole? Storytelling is never neutral. Digitalization and technology are tools to help create an emotional impact. The overall objective is an educational, social impact. What is emotional engagement? Thoughts about social responsibility, being compassionate, facilitating a culture of inquiry instead of a voice of authority. Visitors engagement is not just the gamification of the museum experience, it is a way to facilitate a long-term conversation with a community. Museums should take a more activist role: they can (and should) be powerful agents of social change. Museums operate in a social world, so debate and opinion are a necessity. Partnering with like-minded organizations is key to museums changing the world. There has to be a transition from the museum temple to the open social museum. Don’t just make it about the collection. What is the structure of the city surrounding the museum and how is it going to change? Not just from a historic perspective, even though art is rooted in a historic context, it is important to engage with the living audience and their real life problems. Museums have to be allowed to experiment, fail and learn from their experiences. The presentation of Silvia Fillippini Fantoni, Director of Interpretation, Media and Evaluation of the Indianapolis Museum of Art on whether to To Charge Or Not To Charge: Museums and The Admission Dilemma, has been such a brave, honest and transparent demonstration of a learning curve. Is the staff part of the leadership? Proactive staff is important for change, but for an authentic engagement they need to be involved in the whole process: financial planning etc.. Museums have to define their core values and mission. What are they passionate about? In which area do they add value? What is the strength they want to be known for? For what do they want to be known in the world? Museums have to work between mission impact and financial sustainability. Sponsorship might provide a solution, but careful it is never a benevolent relationship. A sponsor has to be chosen wisely and has to be aligned with the museum’s mission. It is important to make clear how the relationship can work out. Ana wrote her highlights here.